I’ve been trying to make sense the last few days of the most recent Kickstarter phenomenon of Zack Danger Brown’s “Potato Salad”. At the end of the day, I don’t blame Zack. He posted a fun Kickstarter project that he barely expected to raise his initial goal of $10. He probably didn’t even expect it to be approved, but it did. If you’re not aware, as of this writing, the project is at $47,260 with 5,862 backers. He built a project that went viral on him, and with the majority of pledges at $1, $2 and $3. So, where’s the harm? This isn’t the first time that projects of a ridiculous nature have gone viral on Kickstarter. I wrote early last year and criticized Kickstarter’s logic in approving two projects. One for building a Death Star, and one for helping to build up the Rebel Alliance in defense against the Death Star. You can read that piece below. My concerns and argument concerning the Potato Salad project are the same as those I raised last year. We’re at a stage in the crowdfunding industry where the SEC is currently drafting the rules around equity based crowdfunding and getting close to release. Among the concerns the SEC has is to protect the public from suspect projects and to an extent protect the public from the industry as a whole. 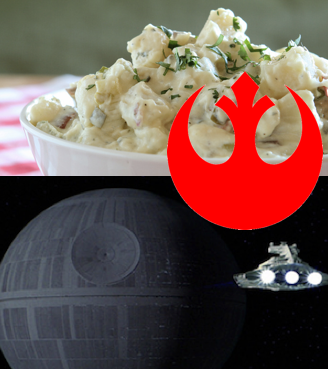 Why would Kickstarter approve and allow the “Potato Salad” project? It’s not a good indication of the industry having the maturity and responsibility to police itself. Any projects posted on Kickstarter have to approved before they go live. I’ve known many people with what I deemed to be worthwhile projects been denied to post on Kickstarter. I think the community is owed an explanation from Kickstarter on its reasoning and logic. It’s the rare occasion that I come across something online or read something in the newspaper that shakes me so strongly that I feel compelled to get up off the couch at that instant and do something in retaliation. The last instance I can remember is after having read an article written by Mike Wise of The Washington Post titled “Unmasking the Real Faces of Steroids”. It led me to start an online petition to have Major League Baseball adopt a zero tolerance policy for baseball. This was way back on Dec. 22, 2007. More than five years later, I have that same compulsion again. I was browsing the Technology projects section of Kickstarter, and one of the more popular projects is the “Kickstarter Open Source Death Star”. Being part of Generation X, I saw the original Star Wars when I was six. Needless to say, it had a profound effect on my personal and cultural tastes growing up. I had all the action figures. I had the playsets. I had the original Kenner Death Star. I still have some remaining pieces of it packed away in a box somewhere. So, of course I felt the need to check it out. Who would have the nerve and be in their right mind to try to pull a stunt to fundraise on Kickstarter to build a Death Star? So I clicked on it. It was funny. I thought it was cool, for a minute. It currently has 1732 backers pledging £254,000 toward a £20,000,000 fundraising goal. It has 45 days to go in case you’re interested. But it gets better. Right alongside the Death Star project, high in popularity, was a response: Crowdfunding Rebel Alliance X-Wing Squadron. This project states in its description that it was created as a direct response to the Death Star, combat it, and be able to defend against it. It currently has 328 backers pledging $303,000 toward an $11,000,000 fundraising goal. It also has 45 days to go in case you’d rather be part of the rebellion. I like to think I have a sense of humor. It’s all very cheeky. It’s cute. It’s cool. It’s daring. But then I started thinking (always where I get into trouble). When I started my Kickstarter fundraising project, I had to fill out an online form and wait for it to be approved. It was. And I moved forward. But I also know people since who have submitted projects and been rejected. Projects that I thought were more than reasonable compared to other projects I’ve seen. Also as far as I’m aware, Kickstarter does not allow you to fundraise toward a non-profit project. God forbid. So, did Kickstarter actually approve these projects to be listed? Is it all in the name of good fun and a lark? What actually will happen if the Death Star meets its £20,000,000 fundraising goal? Or the Rebel Alliance raises the $11,000,000 to build an X-Wing Squandron? Will they get the money? Will Kickstarter take it’s 5% cut. Not bad money if it’s there. But I think Kickstarter is doing a grave disservice to the community at large. 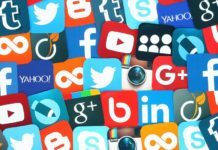 It undercuts the credibility of the platform. Even if you know and appreciate that it’s a joke. But it’s probably not a joking matter to those people that felt they had legitimate projects to post and weren’t allowed. All at a time when the Securities and Exchange Commission is trying to define the rules of equity-based crowdfunding. The classic scare case example against crowdfunding is that Grandma puts her life savings into a project without understanding all the risks and loses it all. If I pledge $10 to build the Death Star, should I expect it to be built? Not if I’m in my right mind. And trust me, I really don’t want the government dictating where and how I would like to invest my money. If I want to give $10 to help build the Death Star, I should be allowed to. But then Kickstarter and the people behind the project should make it clear to all that the Death Star will not be built. Or your credit card will not be charged once the project ends. Right now, Kickstarter is the de facto name brand and leader in the crowdfunding space. Whether they want to be or not, whether they like it or not, they are the poster child for crowdfunding. And as such, I feel they should be taking more responsibility and respectability in this instance. Yes, it’s a prank. Yes, it’s funny. But now isn’t the time. And if Kickstarter wants to be respected for the decisions it makes and the criteria it uses to determine what projects are allowed, then I think they should take these down immediately. And if they don’t, well, that’s okay. That’s their prerogative. But then they should let anyone post any project they like. Bob Fine is the founder and publisher of The Social Media Monthly. My intellectual side agrees with you. 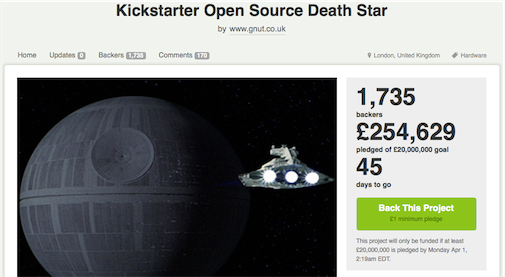 However, I surfed out to view the KickStarter Death Star, which I thought was funny. But then I searched for and read crowdfunding-rebel-alliance-x-wing-squadron and I’m still laughing as I write this. It’s genius actually. You make excellent points, and the management at KickStarter on one hand do seem to be getting a little whimsical here, however, they are also very shrewd; it got us and many others talking about the platform and DREAMING how one day we can, collectively, build amazing things together. Hi. I wholeheartedly agree with you. I love it too. I love the whimsy of it. But I think what upsets me the most about it is that Kickstarter has written guidelines on how they judge “worthy” projects. And I just feel that if they’re going to allow those two to be listed, then they should adopt an “anything goes” policy and let the public decide what’s worthy or not. Yes, it would start a dangerous precedent. This one is obvious, but others may post truly fraudulent material. It could lead to ‘regulation’ by those in authority if significant funds are misdirected. FYI: Bob Fine, the author of the fairly critical article about recent joke projects threatening the legitimacy of crowdfunding, contacted me directly, as a backer of my X-Wing Squadron joke campaign, to add my thoughts about his concerns and the comments left by his readers. As Kickstarter continues to grow and mature, the public will inevitably view the brand with their own biases. As a platform that’s opening doors – heck – giant gates and bridges and tunnels – for almost anyone with a creative idea and the nerve to ask complete strangers to get behind those ideas, Kickstarter is faced with both the enviable as well as daunting task of growing up in the public eye. Much in the way that celebrities become cannon fodder for the whims of public discontent, Kickstarter, because of its grand success, is also the focus of criticism, speculation, and judgement. Some love it, some hate it. Your experience may vary. I’ve been a vocal critic of some of the – as I perceive – mishandling of guidelines drafting as well as implementation. As a backer and a creator, I ask Kickstarter to reign in creators to mitigate my risks as a backer, but as a creator am frustrated at the way Kickstarter has gone about protecting backers. We’ll always be critical, never satisfied, and Monday-morning quarterbacking a still immature business that, on the whole, is doing amazing things by action and example. They aren’t the only, nor were they the first crowdfunding platform. They are, however, the perceived leader in an ever-growing industry due to a certain mix of character traits – one of these being their humanity. They aren’t corporate tools. They aren’t smarmy pretentious Silicone Valley startup hipsters. They founded Kickstarter to help their friends fund gigs. Their most popular funding categories are not hardware and products, but arts: music, films. Their biggest funding category by total pledges is games. Games, as in to play, have fun, enjoy. That is, what I believe, the reason Kickstarter approved these joke campaigns – because despite the millions of dollars that have been generated through their platform, they’re not yet jaded enough to not still be those guys who like to help their friends fund cool projects and gigs. There’s nothing wrong with them – and their extended network of friends – having a good laugh. In regards to concerns that these projects set up a ‘dangerous precedent’ – relax. It’s not as if Kickstarter has any legal impact by having a laugh. They’re not tied into government nor are they the sole crowdfunding platform doing silly things. It’s their house, and they get to walk around in their underwear once in a while if that’s what they want. Both the Death Star and X-Wing campaigns specify that they are jokes. Anyone who didn’t bother to read carefully enough to get that or possibly believes these are legit projects, is at far greater risks from other things in the world then from pledging to a campaign based on a fictional work of imagination. Yes, there’s a bit of trust involved that both the creators as well as Kickstarter will pull the plug if these campaigns get even close to their funding goals. Indeed, this is why both campaigns have set such high funding goals as to be almost surely unreachable within the timeframe of the campaigns. Could fraudsters and grifters game crowdfunding to steal money from people by taking advantage of their complacency and ignorance? Sure. And so can legitimate corporations with hundreds of employees and thousands of investors. That’s endemic of Human nature. Wherever there is an channel for wealth creation, there will be unscrupulous sociopaths who will take advantage of those channels and abuse people’s trusts. This isn’t a matter of if in crowdfunding – it’s a matter of when. Backers of Kickstarter project, ZionEyes (now Zeyes) would tell you that it’s already happened. Has this ‘ripoff’ turned them off from Kickstarter or crowdfunding as a whole? Mostly no. The risk averse and conservative will be quickly discouraged and hold onto their anger and disappointments. The rest of us will learn from the experience so we’re that much wiser for the inevitable next time, and move on and continue to take calculated risks in our investment of our fellow Humans and their boundless depths of creativity, passion, and inventiveness. 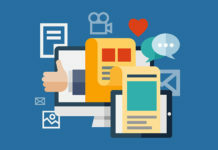 As for the ‘worthy’ or ‘unworthy’ projects concern: if your project is really ‘worthy’, it’ll find the audience it needs. Instead of fighting with Kickstarter, rejected creators should take their projects to other platforms, or use the self-funding API that’ve been created and generously made public by Kickstarter creators whose ‘worthy’ project was rejected by Kickstarter, and who believed fervently enough in the validity of their idea that they successfully crowdfunded on their own, independent of an existing platform. They didn’t whine and moan about rejection: they pursued other avenues and created the success they sought. I have no sympathies for rejected or failed projects. I was rejected and failed before as well. I didn’t moan about it… I learned my lessons and got smarter and better focused. I’m glad for the rejections and failures. It’s more useful to honestly fail than falsely succeed (because your friends and family were sympathetic and funded your delusions). From my own experience, the ‘worthiness’ of a project isn’t something you can pin down, because there’s so much bias and subjectivity in even using the adjective as a descriptor. Success is a strange brew of the right thing at the right time for the right people, presented in the right way in the right place. Lacking any one of these can spell failure. Worthy ideas may have problems that extend past the idea into areas that we can’t see… but if Kickstarter rejects the project, maybe they’re seeing something we don’t. Again, it’s their house so they get to invite in who they want. For the most part, Kickstarter is incredibly generous and flexible with the diversity of the types of projects and creators they permit to launch. And that, ultimately, is why they’re the most successful of the crowdfunding platforms – because of their mixture of diverse range of projects, their curation of submissions, and their limited controls that help make creators better and smarter and limit risks for backers. Crowdfunding has inherent risks… “Kickstarter is not a store” was a reminder to not only creators but also Backers that the individual is ultimately responsible for your decision to ‘invest’ in something that may or may not come to fruition. Holding Kickstarter responsible is to abdicate individual responsibility, and that’s just lazy. So, take the good with the bad. Use your brains, evaluate the scenario and possible consequences for your actions, and take responsibility when things go wrong – and celebrate when things go right, as they most often do. I want to thank you sincerely for both responding to the article with your comments, but more importantly, being very thoughtful and putting some time into it. Just for the record, I didn’t back your X-Wing Squadron campaign….yet. But, I may be swayed as well by the dark side and enticed to crush the rebellion. Speaking of credibility and self-policing, you might want to hire an editor to snuff out the typos in your post.